how to make paneer at home with detailed steps and pictures. 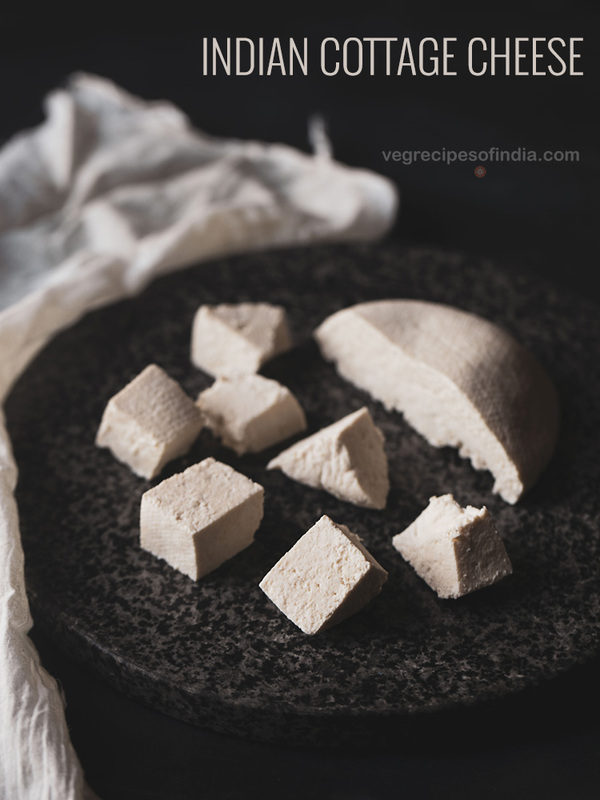 homemade paneer is very easy to make and you get soft paneer cubes which can be added in any indian curry or gravy or rice or a sweet based dish. 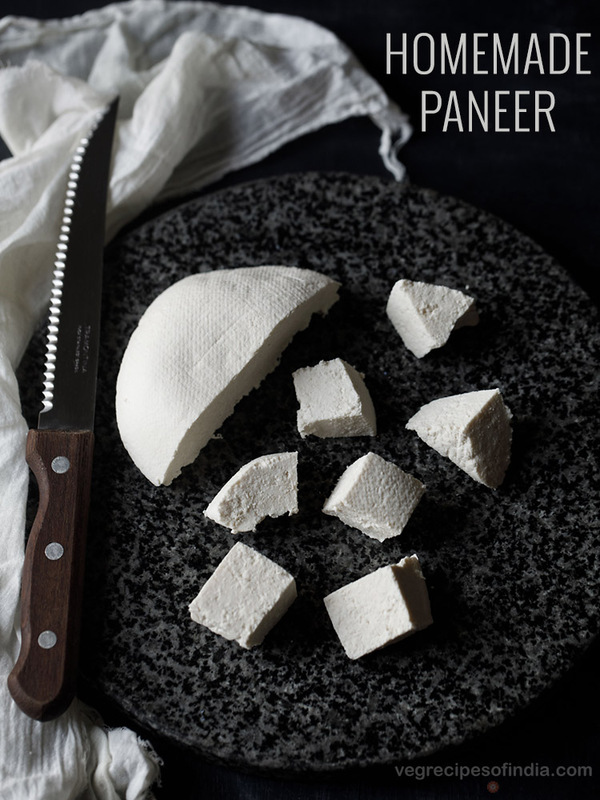 this paneer recipe post details the method of making paneer quickly with plenty of tips to get soft paneer. 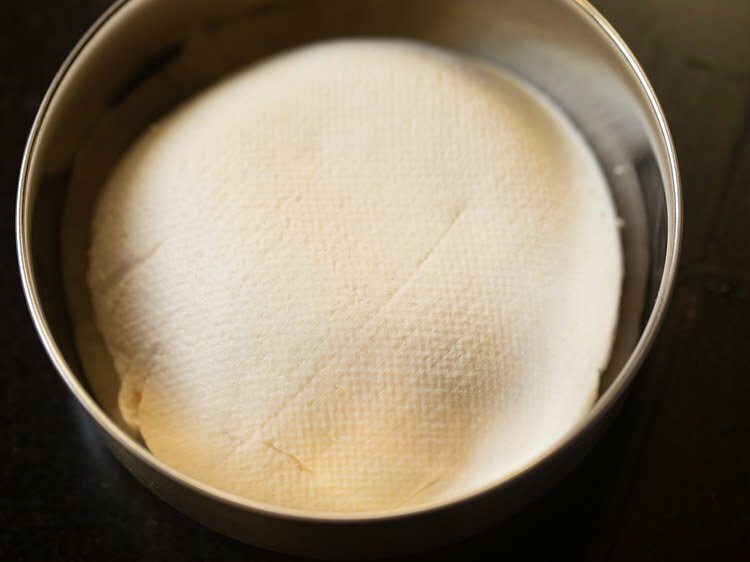 how to make paneer at home. 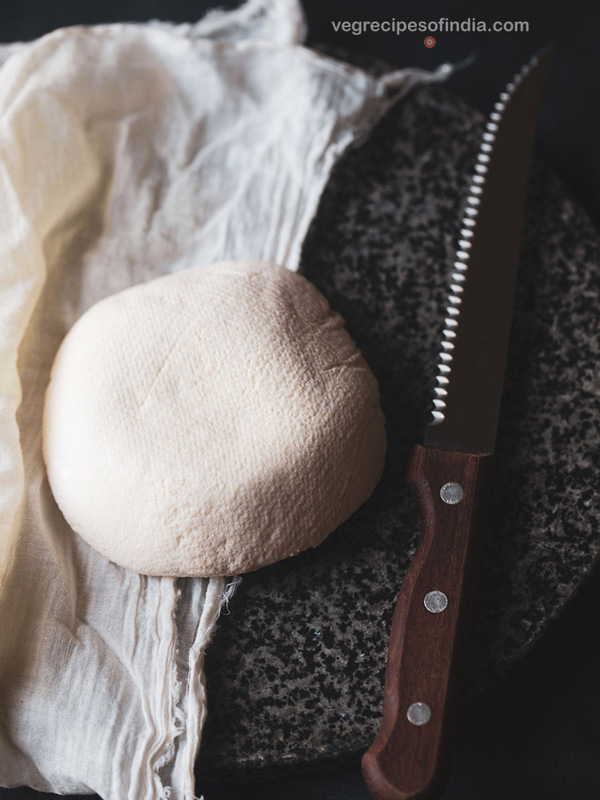 making paneer is very easy and anyone can make it at home. i have been making paneer since ages now. i do not buy paneer from outside. at home, all of us prefer homemade paneer as it is fresh and no preservatives or additives are added. you can easily get soft and porous paneer from mithai shops. 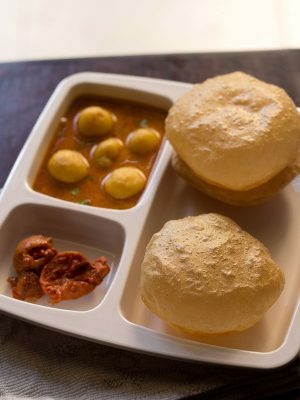 some of them even sell some types of special paneer like masala paneer, malai paneer. however, it is best to make paneer at home. as homemade paneer is more hygienic, fresh and suits the pocket as well !!! 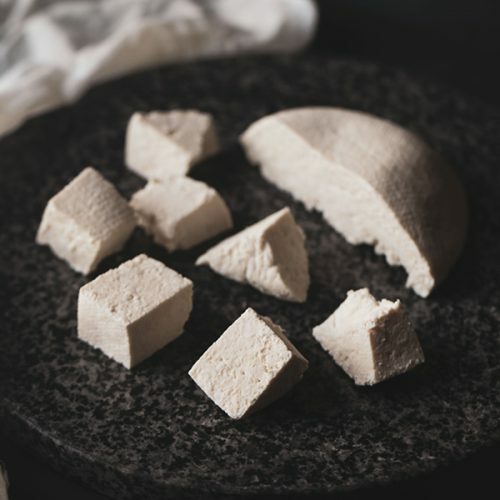 unlike many other kinds of cheese in the world, the making of paneer does not involve rennet as the curdling agent thus making it completely lacto-vegetarian and providing one of the sources of proteins for vegetarians in india. paneer is also generally unsalted. this method of making paneer that i am going to write about is how i learnt it in my home science cooking classes. milk is boiled and then curdled by using an acidic ingredient like lemon juice, vinegar etc. 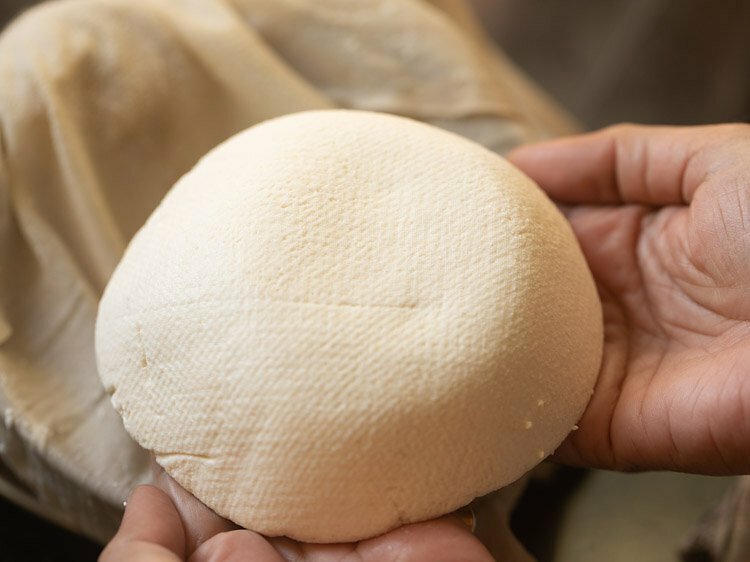 once the milk is curded, the whey is strained and the coagulated milk solids are gathered in a muslin or cheesecloth. 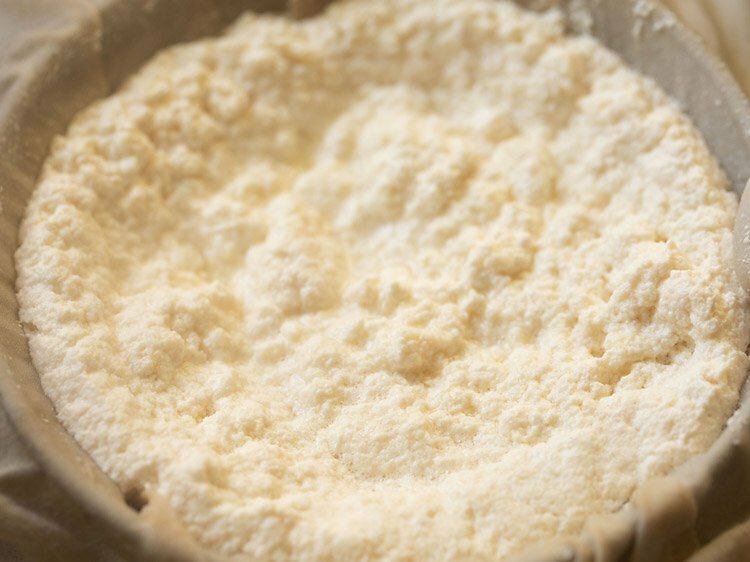 a heavyweight is kept on the curdled milk solids in the cheesecloth for 30 minutes. later after 30 minutes, you have a nice block of paneer ready. i have been making paneer ever since like this. i don’t hang the paneer at all. 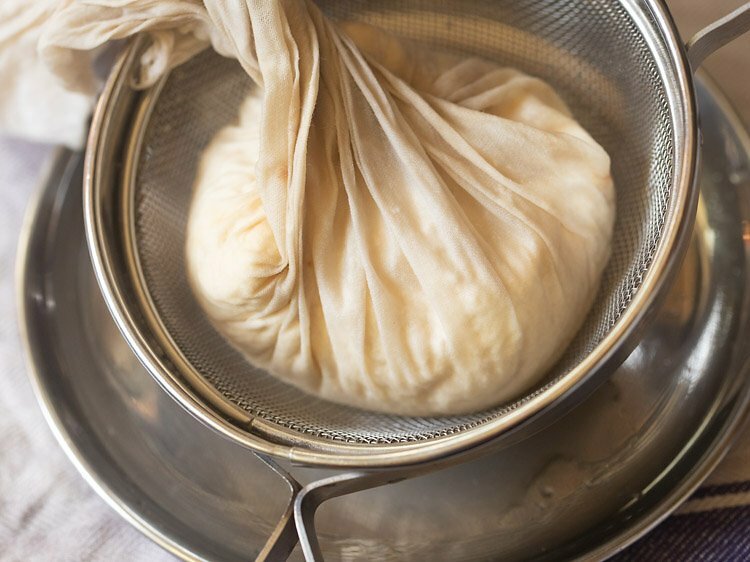 after draining the whey just keep a weight on the paneer and it sets well after 30 minutes – there you go, your homemade paneer is ready. i have already posted the method for making paneer in the microwave and this one can be helpful if you use microwave oven. this is the quickest method to make it. it won’t take more than 10 minutes. some years back i stopped using microwave for cooking or reheating. 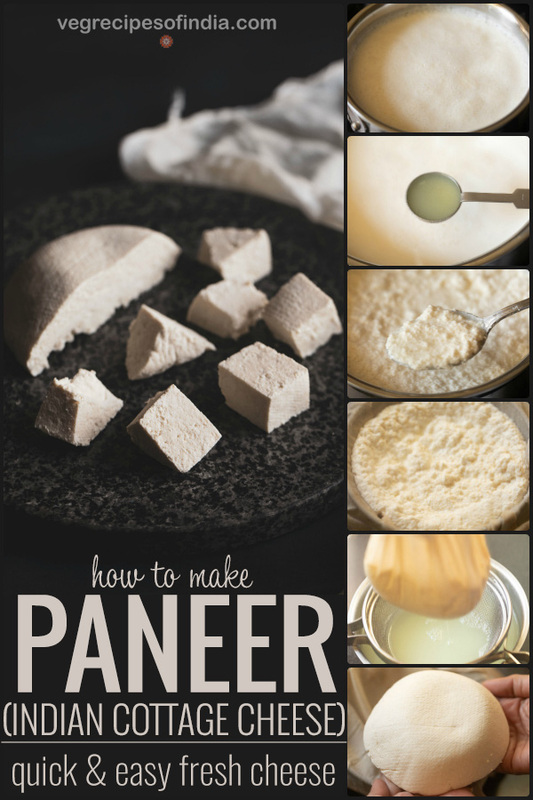 now i only use the method shared in this post to make paneer at home. in the table below i have mentioned the name of 4 food acids that i use and also the kind of texture they produce. the amount that needs to be added in 1 litre of milk is also mentioned. please do note that the nature of the acid used and the quality of milk will curdle the milk faster or slower. i do not use citric acid when making paneer, but do use lemon juice, vinegar, buttermilk and curd. 1. use full cream milk or whole milk. the milk can be raw or pasteurised. 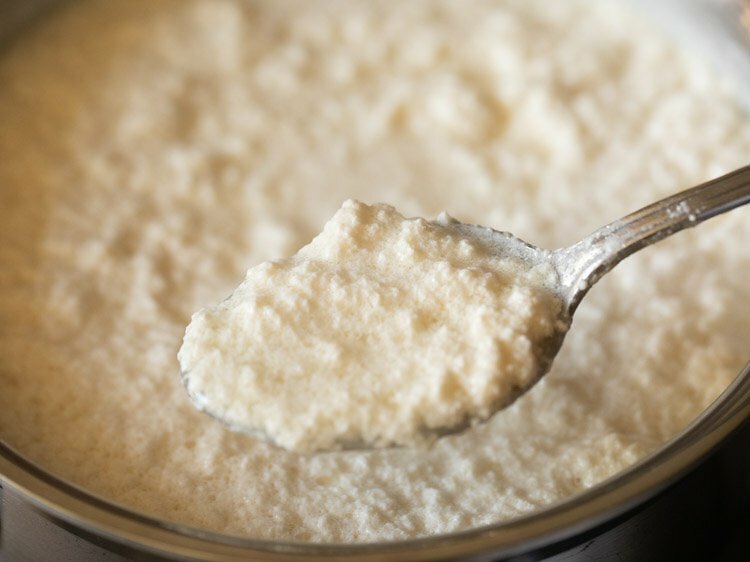 full cream milk yields excellent results just like it does for making homemade curd. 2. do not use toned milk for making paneer. the paneer won’t set when toned milk is used. do not use skimmed also for making paneer as it will give less quantity of paneer and make it hard. 3. always use good quality milk within its shelf period. 4. you can use any one of the four ingredients that coagulate the milk as mentioned in the above table : lemon juice, curd, buttermilk, vinegar. each of these will contribute their taste a little to the paneer you make. so do remember this. 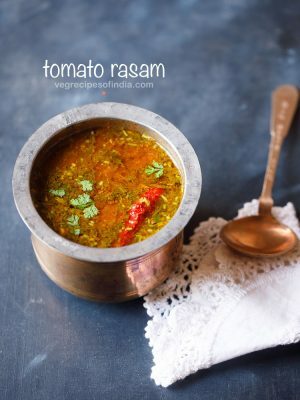 if you don’t like lemon or vinegar’s taste than add curd or buttermilk instead. 5. if there is lots of cream floating over the milk, then there is no need to remove it. the natural cream present in the milk makes the paneer soft. 6. once you add the lemon juice or vinegar than the milk will start to curdle. the milk has to completely curdle. you should be able to see the whitish or greenish whey. 7. once the milk coagulates or curdles completely than don’t boil it more. 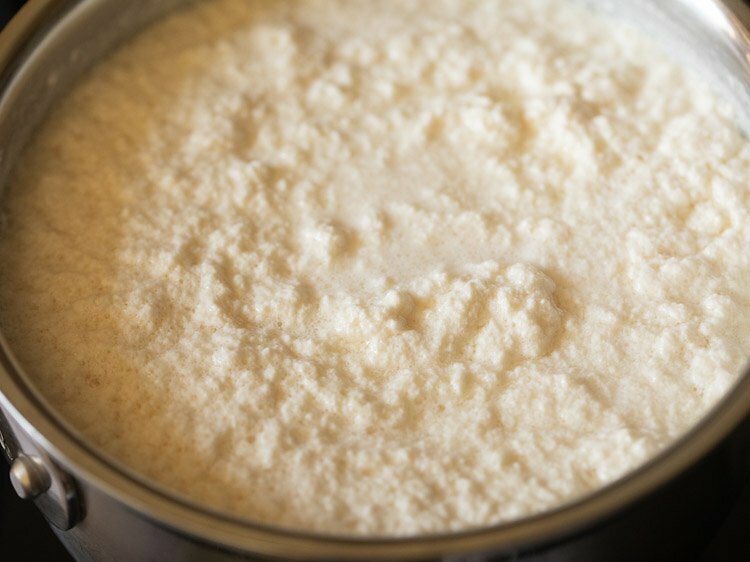 remove immediately and strain the milk as overcooking will yield hard and crumbly paneer once set. 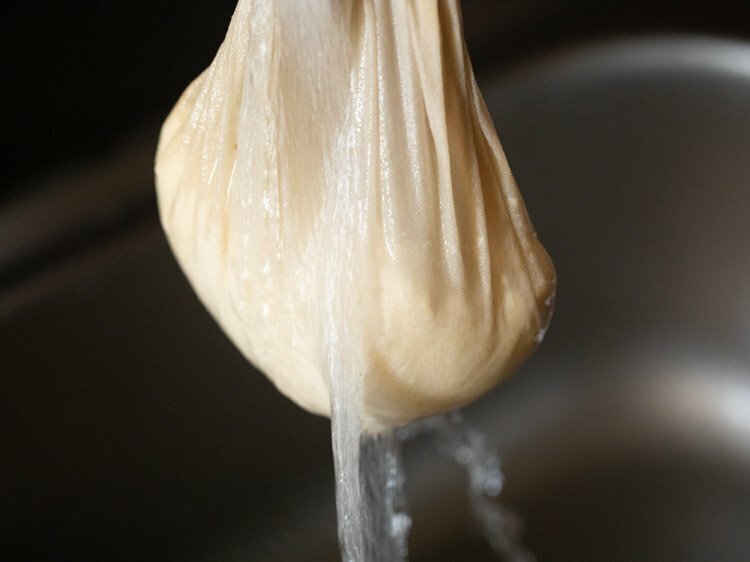 8. a way to keep the paneer soft in the fridge is to soak the paneer block in water in a bowl and keep in the fridge. this way the paneer does not become hard. alternately you can also soak the paneer in warm water after you have removed it from the fridge. after making paneer, a greenish colored whey is left which is very rich in nutrients. instead of discarding the whey, you can use it in various recipes. do note that the taste of the acid agent used will be felt in the whey. 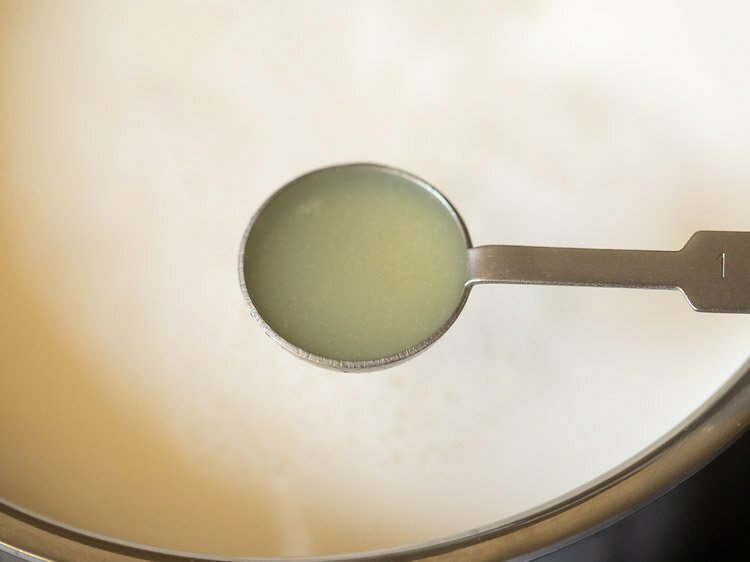 example if lemon juice has been used to curdle milk, some sourness will be felt in the whey and will also be felt in the recipe dish that you will be adding it to. you can easily refrigerate the whey for some days and use it later too. 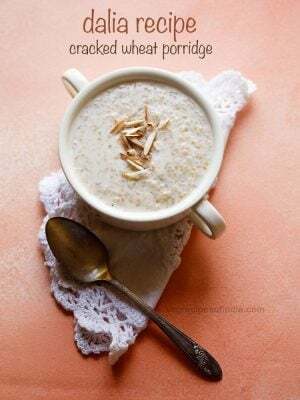 1. add this nutrient-rich whey for kneading dough of breads like chapati, paratha or even a baked whole wheat loaf or any baked bread. 2. you can even add the whey while making cake batters or cookie doughs. 4. even pulao and biryani taste good with the whey added. for making veg biryani, add whey in the vegetable gravy instead of water. 5. add the whey in fruit smoothies, juices and even soups. 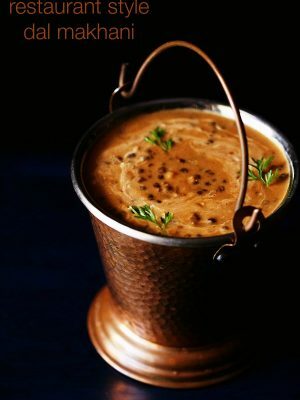 6. whey can also be added in any gravy or curry. 7. you can even make pasta based dishes with the whey. 8. a non-culinary usage of whey is adding it to your plants. but just mix the whey with some water and then add to the plants. on occasions, i add the whey mixed with water to the plants. this is one of my early posts which i had shared in the year 2012. i have now updated it with better pictures. 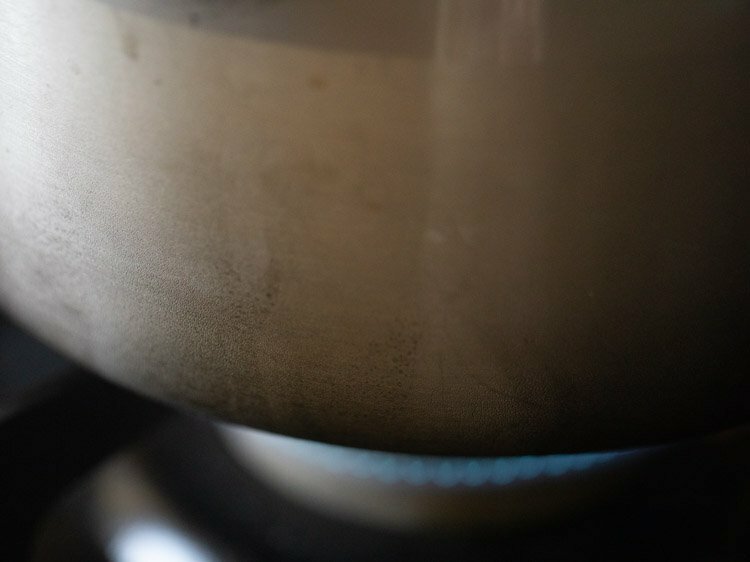 boil milk in a heavy saucepan or pan on a medium-low flame. 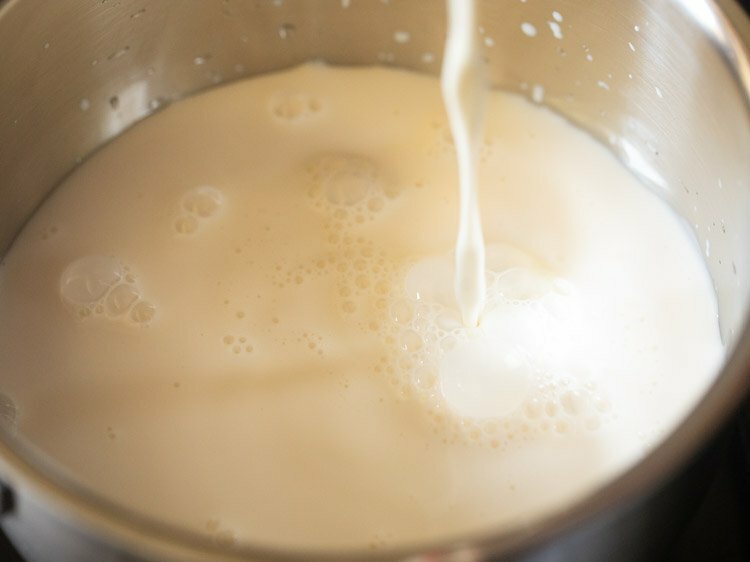 stir occasionally so that the skin does not form on the surface and also so that the milk does not get burnt from the bottom. meanwhile, take a pan or a bowl. place a strainer on the pan. 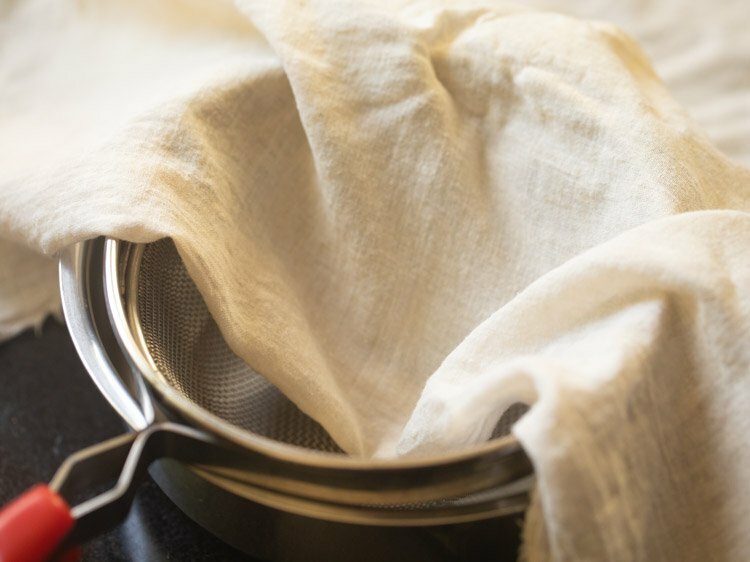 line the strainer with clean muslin or cheesecloth or cotton napkin. you can even line the pan directly with the muslin. when the milk starts boiling, add the lemon juice or vinegar. begin to stir. the milk has to curdle completely. 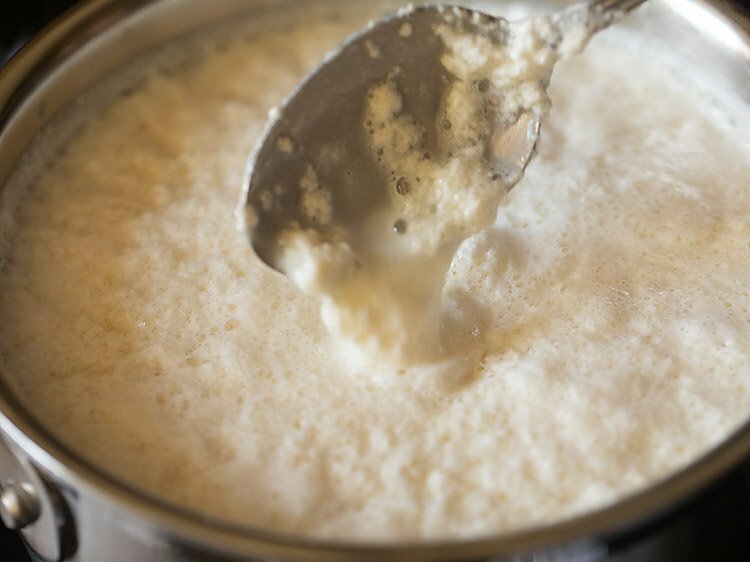 stir the milk when it is curdling so that the curdled milk does not stick to the base of the pan. sometimes you will see the milk has curdled partly but no watery whey can be seen. in this scenario also add 1 to 2 teaspoons more of the food acid and stir again. you should see the greenish colored whey in the milk. 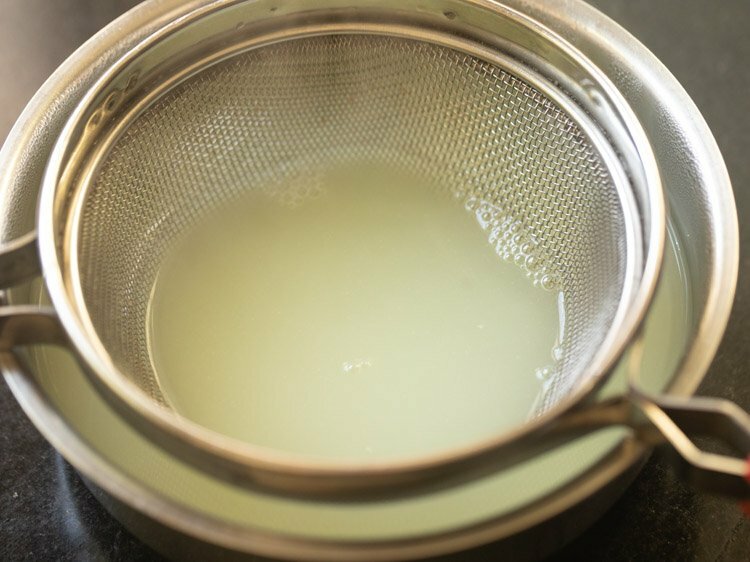 after the milk has curdled completely and you see the greenish whey, switch off the flame and then immediately pour the entire mixture in the strainer lined with the muslin, cheesecloth or cotton napkin. carefully gather the edges of the muslin as the coagulated milk mixture will be very hot. whilst doing more of the whey will be strained. run some clean fresh water on the gathered muslin all over. gather the muslin edges tightly and place it back on the strainer keeping it in on a plate or a tray. keep a heavy weight on top of the muslin or cheesecloth for 30 to 40 minutes. use a heavy object having 500 to 600 grams weight. you can even hang the muslin for an hour if not using a heavyweight object. some more whey will be strained when you place the heavyweight object. so remove the whey from the plate. after 30 to 40 minutes the paneer will set. once warm or cooled cut paneer into cubes or any shape. you can also refrigerate the paneer. keep it in an air tight container or immerse the paneer block in a bowl of water and keep in the fridge. homemade paneer stays fresh for 2 to 3 days in the fridge. you can slice the paneer later and use it any recipe. first and foremost use good quality milk. again full cream milk yields excellent results just like it does for making homemade curd. each of these will contribute their taste a little to the paneer you make. remember this. if you don't like lemony or vinegar taste than add curd instead. if there is lots of cream floating over the milk, then there is no need to remove it. 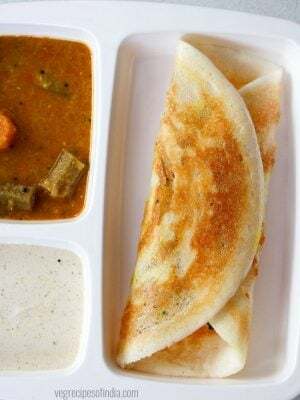 the natural cream present in the milk, makes the paneer soft. once you add the lemon juice or vinegar than the milk will start to curdle. the milk has to completely curdle. you should be able to see the whitish or greenish whey. once the milk coagulates/curdles completely than don't boil it more. remove immediately and strain the milk. the overcooking will yield a hard paneer once set. 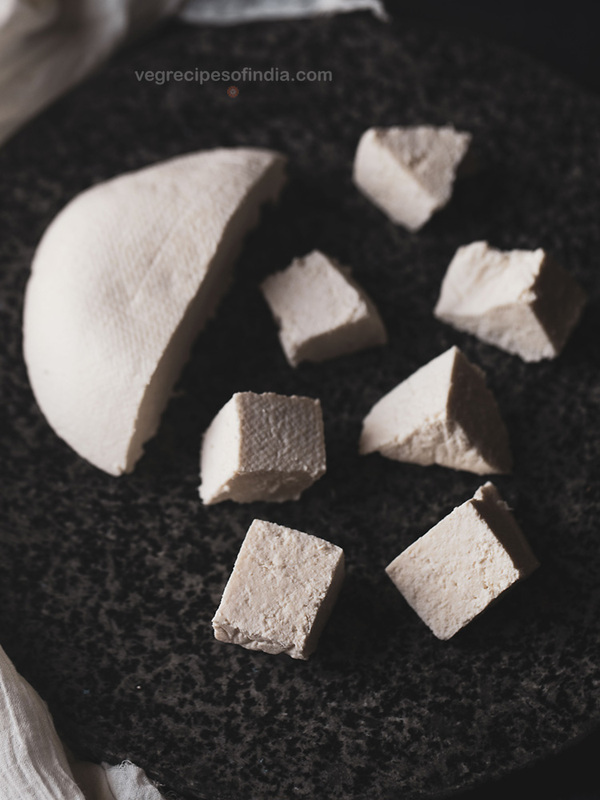 a way to keep the paneer soft in the fridge is to soak the paneer block in water in a bowl and keep in the fridge. this way the paneer does not become hard. alternately you can also soak the paneer in warm water after you have removed it from the fridge. 1. take a heavy saucepan or a pan. rinse it with water first. then add 1 litre milk in it. 2. switch on the burner and begin to heat milk on a medium-low flame. 3. stir occasionally so that the skin does not form on the surface and also so that the milk does not get burnt from the bottom. 4. meanwhile assemble the following. take a pan or a bowl. place a strainer on the pan. line the strainer with clean muslin or cheesecloth or cotton napkin. you can even line the pan directly with the muslin. 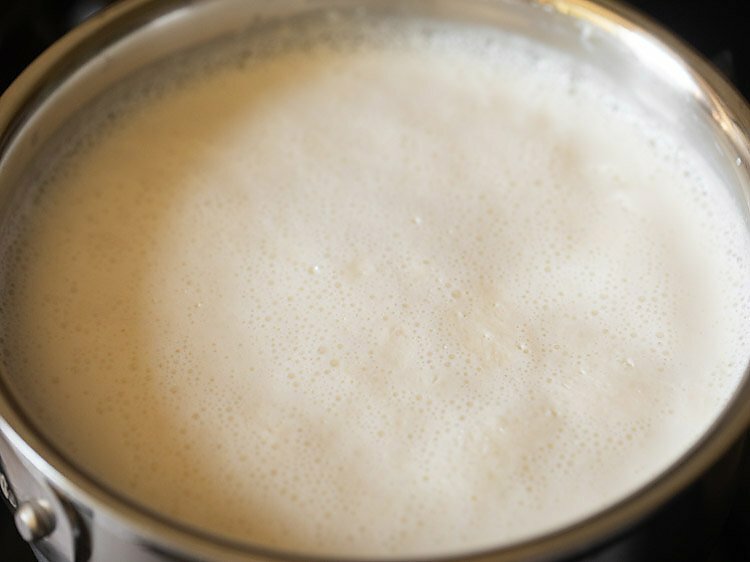 5. let the milk come to a boil and it should start foaming and rising. 6. at this point, add the food acid – lemon juice, vinegar, buttermilk or curd. if using lemon juice, you can add 3 to 4 teaspoons. for vinegar, add 2 to 3 teaspoons. 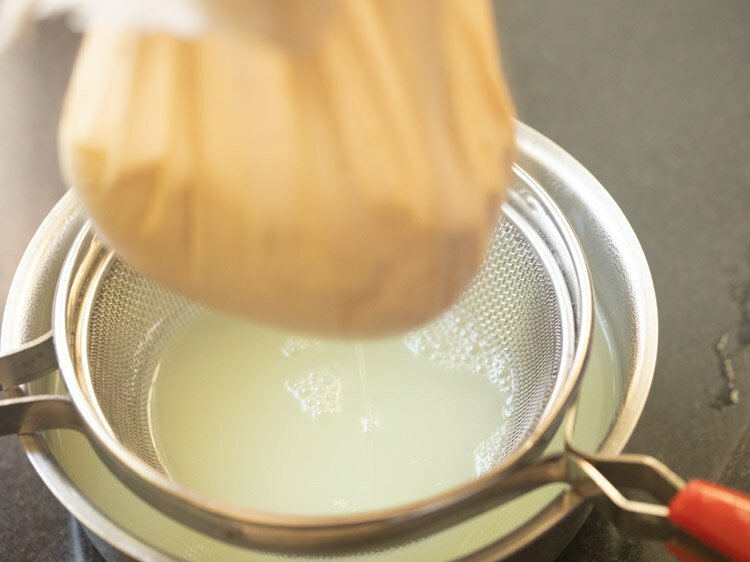 for curd, add 3 to 4 tablespoons or more. for buttermilk add 4 to 5 tablespoons. the amount of food acid to be added will depend on the quality of milk and the strength of the acid in the food acid ingredient. 7. after adding the lemon juice, stir and the milk will begin to curdle. 8. the milk has to curdle completely. 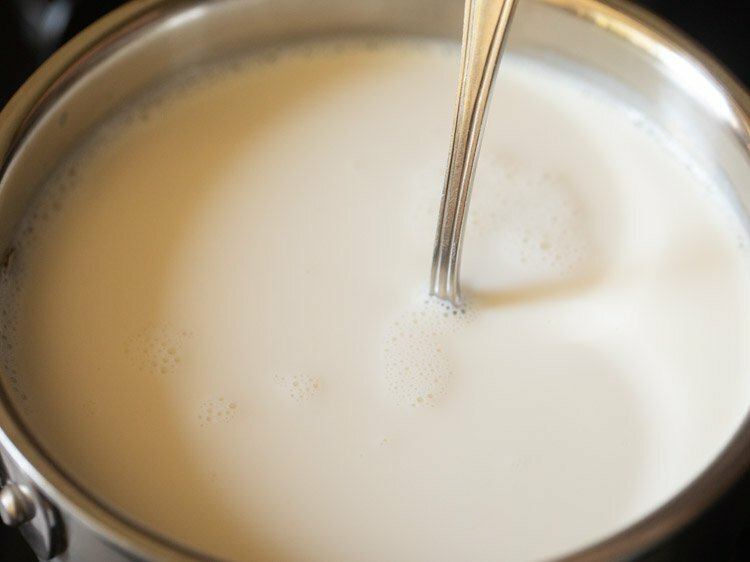 stir the milk when it is curdling so that the curdled milk does not stick to the base of the pan. 9. if the milk has not yet begun to curdle then add one more teaspoon. the milk should completely curdle. sometimes you will see the milk has curdled partly but no watery whey can be seen. in this scenario also add 1 to 2 teaspoons more of the food acid and stir again. you should see the greenish colored whey in the milk. 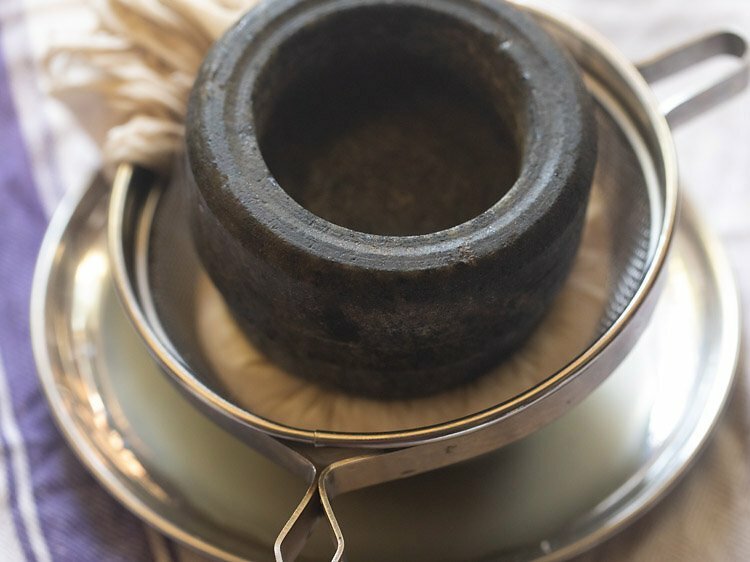 10. after the milk has curdled completely and you see the greenish whey, switch off the flame and then immediately pour the entire mixture in the strainer lined with the muslin, cheesecloth or cotton napkin. 11. carefully gather the edges of the muslin as the coagulated milk mixture will be very hot. whilst doing more of the whey will be strained. 12. run some clean fresh water on the gathered muslin all over. 13. secure the edges of the muslin tightly and place it back on the strainer keeping it in on a plate or a tray. 14. place a heavy weight on top of it for 30 to 40 minutes. i have used my stone mortar. use a heavy object having 500 to 600 grams weight. you can even hang the muslin for an hour if not using a heavyweight object. some more whey will be strained when you place the heavyweight object. so remove the whey from the plate. 15. after 30 to 40 minutes the paneer will be ready. open the cheesecloth or muslin. the paneer will be set. i used 1 litre of milk and got 200 grams of paneer. if you keep the weight for a longer time, you will get a firmer block of paneer. 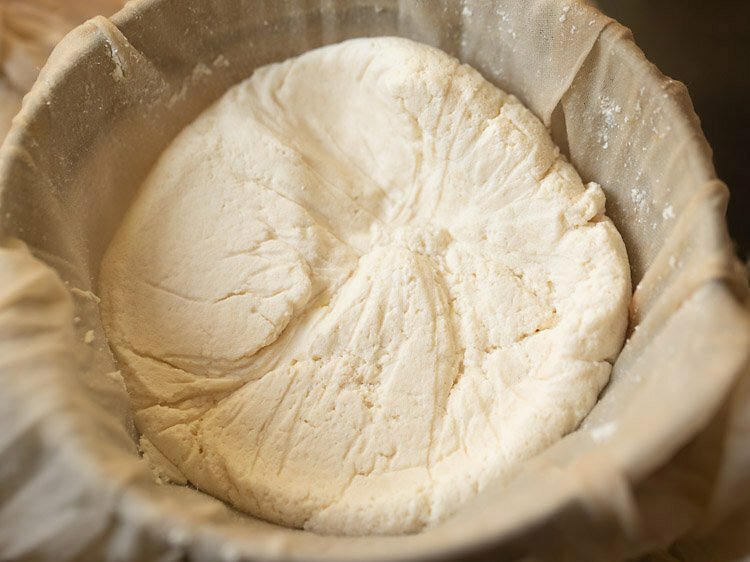 for a soft texture in the paneer, just keep the weight for 30 to 40 minutes only. you can use a rolling board or a heavy wooden board also. 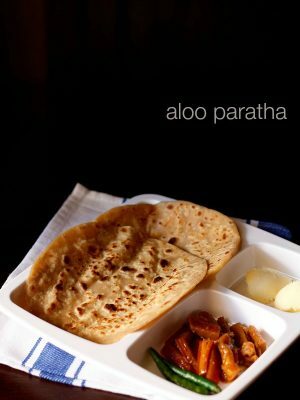 16. you will see a beautiful block of cottage cheese all set which can be used in any paneer recipe. 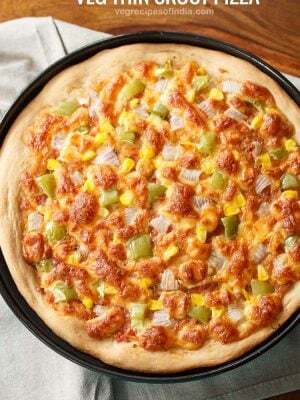 17. now you can use the paneer in the dish you want or you can refrigerate it. if planning to refrigerate, then remove the paneer block and keep it in an airtight steel box. paneer stays good in the fridge for 2 to 3 days. you can slice the paneer later and use it any recipe. 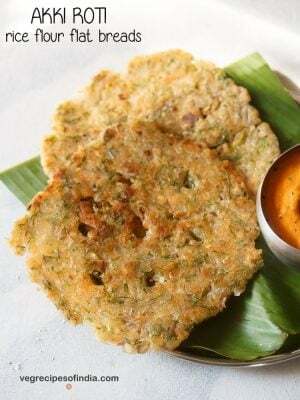 18. the collected whey can be added to chapatis or rice or veggies. you can also cool it and mix it with some water and add to your home or garden plants.